I have a special place for Taylor Jenkins Reid novels in my heart. She has a way of conveying emotions that really pulls at your strings and allows you to feel everything that the characters do. I’ve thought this way from the beginning, ever since I was introduced to her first novel, Forever, Interrupted, knowing full well that it was going to be a tearjerker, but plunging in regardless. In her fourth novel, One True Loves, Reid explores the idea that a person can have more than one true love, as her main protagonist, Emma, is forced to choose between her new fiancé and the husband that she thought had died three-and-a-half years earlier. Is it ever really possible to get over your true love? When Emma first lost her husband, Jesse, she thought that her life was over, and in many ways it was. The life that they had shared together ended the minute his plane crashed into the ocean. Not knowing what else to do, she quits her job and moves back to her parents’ home in Massachusetts to try and put the pieces of her life back together. It is there that she runs into her old friend, Sam, and after much soul searching, decides to give love a second chance. They become engaged and move in together, but as Emma knows, life is unpredictable, and you may not get the happily-ever-after ending that you hoped for. It is there, while leaving her father’s sixty-fourth birthday party, with her new fiancé in toe, that she gets the phone call that will change her life forever. Again. Jesse is alive. And he’s coming home. While Emma had spent the past three-and-a-half years trying to create a new life for herself and get over the devastation of losing the one person she loved most in the world, Jesse had been stuck on an island in the middle of the Pacific, trying to survive and make it home to her. But what about Sam? Where does he fit in? When Emma and Jesse are reunited, it is clear that they still deeply love each other, but it is also clear that they both have changed in different ways. Emma is working at her parents’ bookstore, something that she had swore she would never do. Jesse has experienced so much pain that Emma couldn’t possibly begin to understand. He wants to pick up where they left off, travel the globe together with their work, move back to California, and as much as Emma is grateful that Jesse is alive and wants to go back to the way things were, she is not sure if that is something that she still wants. The life that she created with Sam is the exact opposite of the one she had had with Jesse: it’s grounded, stable. Emma questions her feelings for Sam and Jesse. She feels like she’s betrayed both men in a way: Jesse, for moving on and not wanting to spend the rest of her life heartbroken and alone, and Sam, for knowing that if she stays with him, she will never be able to give him her complete heart. It doesn’t come down to love. There is no question that Emma loves both of them. But every love is different. You’re never the same person that you are with your previous love, nor do you love that new person the same way. It doesn’t negate one or the other. It doesn’t mean that you cared for one more than the other. It just means that you loved them differently. For Emma, what it comes down to is what she wants out of life. After losing Jesse, Emma became a different person, because there’s no way that you couldn’t lose the love of your life and not have it affect your fundamentally. “Do you ever get over loss? Or do you find a box within yourself, big enough to hold it?” How do you choose between the person who was ripped from your life too soon and the person who helped you come back from the dead? For me, this was probably the most heartbreaking of all her novels. It’s hard to think that our true love can be ripped away from us without a moment’s notice. It’s devastating, really, to have built a life with someone and to have to start over. But what is equally devastating is the fact that you might be able to move on some day, or, if you were the person that was lost, that they can move on without you. Can replace you. That you can replace them. But you can never actually replace a person that you loved so deeply and lost. Taylor came to my office the week after I read this manuscript, and I had the pleasure of discussing One True Loves with her. We talked about Jessie and Sam, and Emma’s relationships with both of them. We discussed the ending, and who Emma picks. I told her that I had been a little disappointed, because of who I wanted Emma to be with and who she ended up choosing. I was disappointed, but I understood. I knew he was the right choice, but in the end, I was still routing for the other guy. Out of the people who had read the manuscript thus far, I was the only one who had expressed that opinion to her, and Taylor had found that interesting, as did I. So who does Emma choose in the end? There’s a point in the novel where Emma and Jesse spend a few days together at his parents’ cabin. It was also where they had had their wedding. It was the first time since his return that they really had a good chunk of time alone and were able to really open up and discuss all that they had been through. It is another moment in the novel that is fitting of the quote above, another moment that helps Emma to make the decision that she needs to make. The choice that she needs to make. It is possible to have more than one true love in your life, but you can’t have them at the same time. One True Loves by Taylor Jenkins Reid. June 2016. Washington Square Press. Have you ever wondered about what would have happened if you had made a different choice? If you had chosen to follow your heart and not your head? If you had said yes to something, instead of no? How different would your life be? I would like to think that there are certain things that happen in your life that are supposed to happen, and that the choices that we make are just part of the process to get there, that their impact – whatever it may be – is not significant enough to change our destiny. But what if that isn’t the case, and certain choices really do change your destiny? 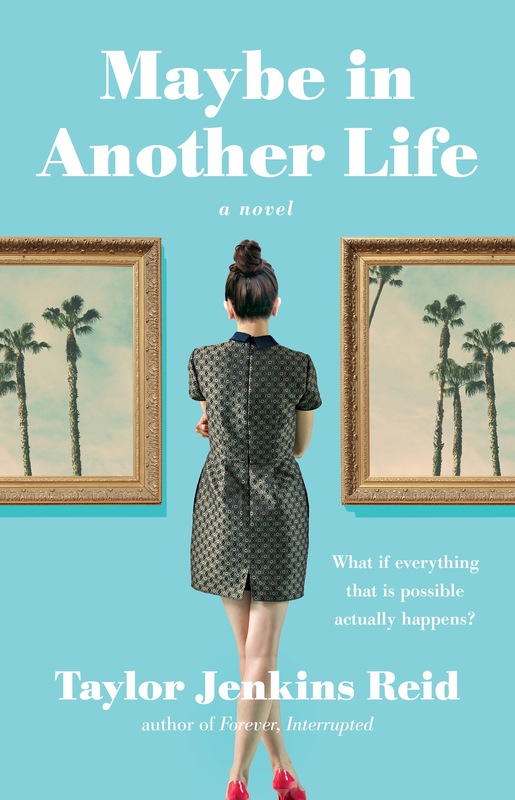 In Taylor Jenkins Reid’s new novel, Maybe In Another Life, she explores the concept of destiny and the affect our decisions have on it. When Hannah moves back home to Los Angeles after yet another failed relationship and mediocre job, she runs into her high school boyfriend, Ethan, while out celebrating with her best friend Gabby. At the end of the night, Hannah has to decide between going home with Gabby and staying out with Ethan. Such a simple decision, but one that ends up having a huge impact on her life, as we are shown both parallels. It’s funny how a simple decision can be life altering. Simple, every-day decisions. We don’t think that the little things always matter and tend to take a lot of things for granted, but this novel makes you reevaluate things that you once thought of as insignificant. It makes you question your life and your choices. It makes you question whether or not you are living up to your potential – living out your dreams. This is what I love about Reid. She has a way of conveying emotions that stick with you long after you’ve finished the final page, and her words have the ability to alter your views on life and the way you live it.